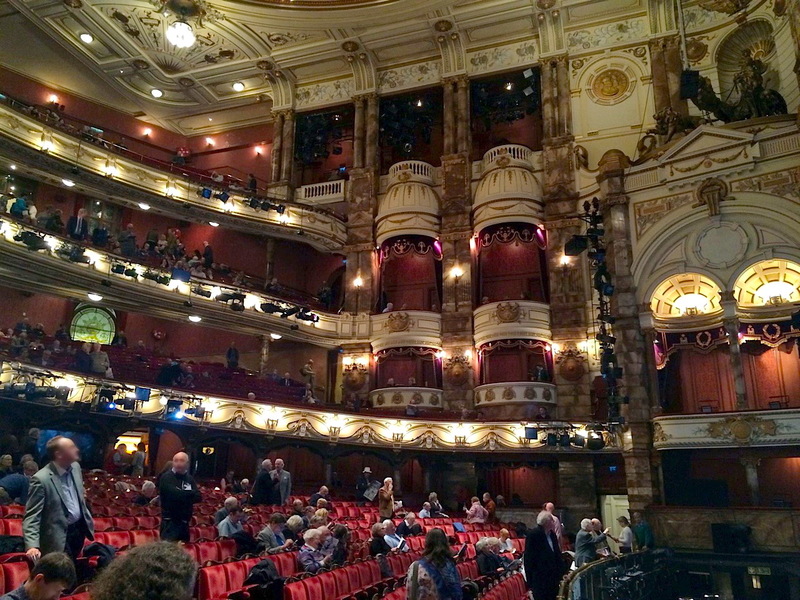 Designed by Frank Matcham for Oswald Stoll, this is the largest theatre in London, at 2359 seats. There are no pillars to block the view from any seat. 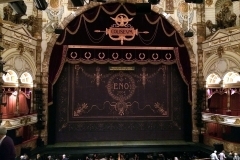 Widest Proscenium opening in London at 55 feet wide, 34 feet high. 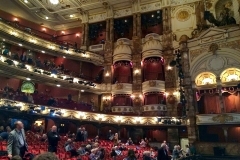 The first theatre in Europe to provide elevators to take the audience to the upper levels of the house. The first theatre in England to have a triple revolve on stage. Apparently one of the first places in the UK to sell Coca-Cola. 1961 June – 1963 – Cinema – The theatre was leased by MGM after a run of poorly-received musicals ended. 1963 July – 1968 – Leased by Cinema to become the second of London’s Cinerama locations. Renamed the Coliseum Cinema. 1968 – Sadlers Wells Opera company moved in, after a large orchestra pit had been installed, and the house was fully restored and redecorated. 2000 – 2004 – Extensive renovation, with design team RHWL as architects and Arup as acousticians and engineers. 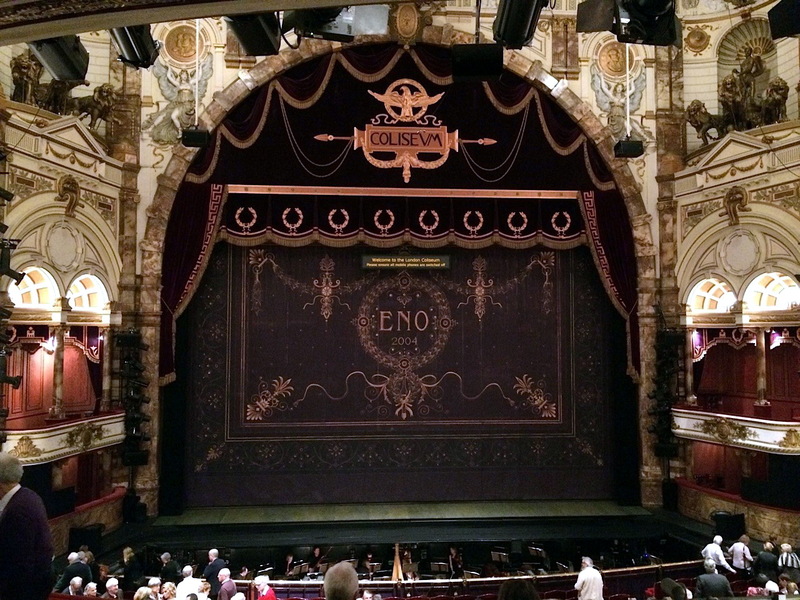 Currently, the Coliseum is still the home of the ENO and is also the home of English National Ballet. Electrics: Strand IDM board in rear stalls. Dimmers 240 (82 x 5kW, 158 x 2kW); 259 presets. Circuits – FOH 56; Flies 104; Stage dips 80 (includes perches). Socket type – 15A BESA. Total capacity available – 2700A on 9 phases. Special effects supply – 180A on 3 phases. Follow spots – 4 sunspots in rear of balcony. Footlights installed, but can be covered. The first theatre in England to have a triple revolve on its stage, although this was rarely used. Huge stage space – 55 feet wide by 92 feet deep, flat floor (non-raked) stage. The widest proscenium arch in London. One of the first to have electric lighting. The theatre was listed by English Heritage in September 1960.